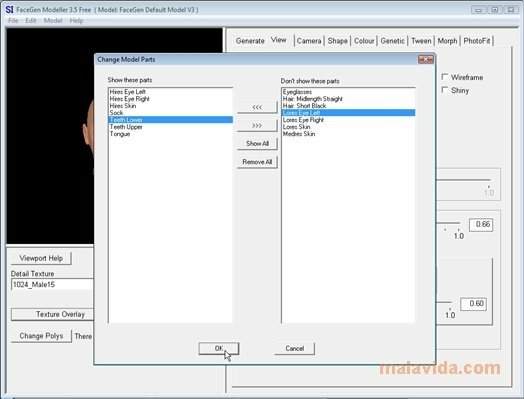 Face modeling had never been so simple. 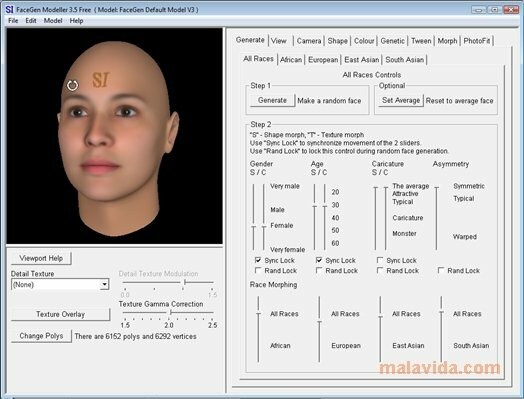 FaceGen Modeller allows you to create and model faces by means of its exclusive technology based on statistics. Thanks to the latter we can create ultra-realistic images as well as caricatures, no matter the age, gender or race. Once of the most interesting options of this software consists in the possibility to create a face from one or more photos. The faces can be edited by means of 150 parametric controls that include all kinds of options. It is possible to apply up to 50 different textures to the face skin that you create, there are different mesh designs, it is possible to apply animations and add model accessories,... The results can be exported in 3DS, MA, LWO, Wavefront OBJ, XSI, VRML 1, VRML 98 or STL. It is also possible to export the texture maps as JPEG, BMP, TGA and TIFF images. A very good software application that is addictive and easy-to-use, and that will allow you to create all kinds of faces. In a few seconds you'll have created busts of any class thanks to its vast amount of options. 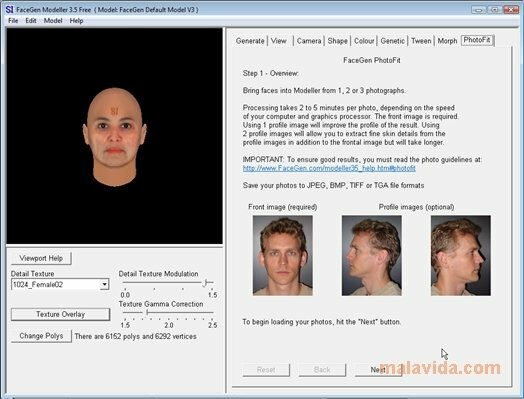 FaceGen Modeller is the perfect tool if you're looking to model faces with good results. The trial version adds a watermark to the forehead and it doesn't export in 3D format.